The long history of organized Sufism has shown not only tensions, but also alliances with indigenous, colonial, and post-colonial states across the Muslims world. Focusing on the alliance between a tarīqa leader, Habib Luthfi bin Yahya (b. 1947) of Pekalongan, and the Indonesian state, this talk observes how such a relationship has enabled Habib Luthfi to expand his ṭarīqa into new territories, incorporate more people into his sphere of influence, and turn the state into a religious infrastructure. Persistent contestations with other Islamic congregations, together with fluctuating political alliances, however, have continued to challenge such an alliance. 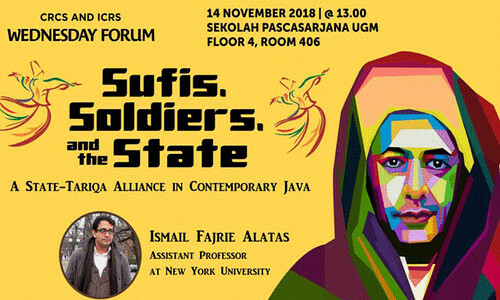 Ismail Fajrie Alatas is Assistant Professor of Middle Eastern and Islamic Studies, and History at New York University. He holds a Ph.D. in Anthropology and History from the University of Michigan, Ann Arbor.